All polls, including one by Fox News, show Trump’s African American support hovering around zero to 1%—the lowest in recent history! Yet, he has the audacity to lecture Blacks that Democrats are bad for them. When you put an all-out racist in charge of a diverse nation, which is built on welcoming immigrants from around the world, you fracture the nation at best, and head towards a civil war at worst. Like Trump, George W. Bush also projected himself as tough on terrorism. What did we get from this “all balls, no brains” toughness? We got ISIS! Yes, we have Bush to thank—for giving birth to this global demon. And no, this is not some analysis of an armchair liberal. Many in the intelligence community—including General Michael T. Flynn, Trump’s top national security advisor—blame Bush’s ill-conceived Iraq War for giving rise to ISIS. “We will fight the enemies on their home turf, not ours,” is how they sold us the war. And now, as a direct, cumulative result, we are seeing ISIS-inspired attacks all over the civilized world, including right here in our homeland. So you see, boasting and bravado—which is all that Trump has—cannot stop terrorism. It only produces more terrorists. Michael Hayden, head of CIA under Bush, says Trump’s rhetoric is a big factor in the dramatic rise of ISIS recruitment. That’s what you get when, instead of focusing on sound action, you make it a clash of civilizations. When Obama talks like a statesman on the global stage, right-wingers accuse him of being an American apologist. They brand him as weak on terrorism. Reality has been just the opposite. Obama is no pacifist. Besides taking down Osama bin Laden in an incredibly gritty mission, his barrage of airstrikes on Syria and other hotspots—without regard to political correctness—shows his resolve. Hillary Clinton is cut from the same cloth—they may speak softly but they carry a big stick. Trump, on the other hand, is a dangerous loudmouth. This is not a stray opinion, but rather the informed position coming from the military establishment. In a devastating letter signed by over 50 Republican foreign policy experts, they clearly identify Trump as downright dangerous to American interests. “[Trump’s] vision of American influence and power in the world is wildly inconsistent and unmoored in principle. He swings from isolationism to military adventurism within the space of one sentence,” the letter reads. “We need a businessman, not a politician, to grow our economy. And Trump is a successful businessman”—that’s another reason mentioned for supporting him. • Trump is a serial failure. Here’s a small list of his numerous business failures: Trump Airlines; Trump Vodka; Trump Mortgage; Trump Casinos; Trump Steaks; Trump Magazine; gotrump.com, a luxury travel search engine; Trump University... all driven down to failures within surprisingly short times. How can someone who can’t manage his own finances manage the largest economy of the world? He can’t! The Wall Street Journal, in August, reached out to all 45 surviving former members of the White House Council of Economic Advisers under the past eight presidents, going back to Richard Nixon—to see whom they favoured for economic policies. None—not one—supported Trump! Clinton was their overwhelming favorite. Then why the aura of success around Trump? Because he’s an entertaining showman, flashing a devil-may-care bombast. Like synthetic stucco Trump looks attractive and strong from the outside but is hollow on the inside. “What Mr. Trump has achieved isn’t success. It’s notoriety,” writes Brett Stephens in the Wall Street Journal. • Trump has been involved in more than 4,000 lawsuits (http://tinyurl.com/h9qdtba). Some lawsuits may be unavoidable in the American business environment. But 4,000 lawsuits? That screams “CROOK!” like nothing else. The following is not idle name calling, it’s an informed characterization from those who know Trump, including many Republicans: Trump is—in the very clinical sense of the words—a juvenile, a bully, unscrupulous, homophobic, xenophobic, misogynist, narcissist, and a demagogue. That he is even a contender for the most powerful office in the world is an affront to 5,000 years of human civilization. We may as well bury all pretence of decency, morality, righteousness, and religion. Let’s burn our Bhagwad Gitas and Bibles—because they real mean diddly-squat if we condone Trump, let alone make him president of this great nation. This persistent false equivalency between two candidates that are as different as night and day is a testament to the sheer relentlessness and magnitude of the right-wing propaganda machinery: a whole army of talking heads like Limbaugh and Hannity, who have no accountability whatsoever. (This is u like mainstream media, which even when imperfect, has to be accountable to professional ethics and standards.) The overarching operating principle of these formidable propagandists is “Lie Big, Lie Often!” And it has paid off handsomely—a majority of Americans believe Clinton is as much or more riddled with lies and scandals as Trump. The reality? No presidential nominee in American history has been the subject of as many complaints of ethical violations, federal investigations, tax violations, and lawsuits, as Trump. From Tony Schwartz, Trump’s own ghostwriter for his bestseller, to numerous contractors, businessmen, charities, and even a group of young girls who performed at his political rally in Florida, all have exposed him for the fraud that he is. These are all documented cases of wrongdoing, not conspiracy theories. Compared to that, there are basically only two issues that have cast a shadow on Clinton: use of private email server and Benghazi. (Of course, if you count the conspiracy theories, there are dozens). How sad for the right-wingers that despite the relentless character assassination of Clinton for over three decades of her public life, and despite the firehouse barrage of innuendo lobbed at her throughout the 18 months on the campaign trail, they have no smoking gun on either of these two issues. Clinton is not entirely taintless—she is a politician, and an imperfect one—no different than most contemporary ones. But while she may be no Gandhi, compared to Trump, she’s the Virgin Mary. As per PolitiFact, a Pulitzer prize-winning nonpartisan research organization, Clinton ranks as the most honest candidate of the entire 2016 election, while Trump ranks as the biggest liar in the batch. • They blame Obama for doubling the national debt…while conveniently forgetting that after 8 years in office, Bush handed Obama a practically bankrupt America. Obama had to live with the Bush tax cuts for two years, and two wars after that. Here’s the breathtaking hypocrisy of the right: they mocked Obama as just a “community organizer” who had no business being a president due to his lack of experience. And now they knock Clinton as an “Establishment politician” for precisely that: being experienced. 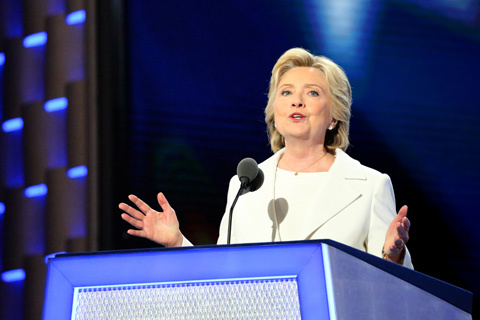 For over three decades Clinton has excelled in public policy, service, law, legislation, and foreign policy. 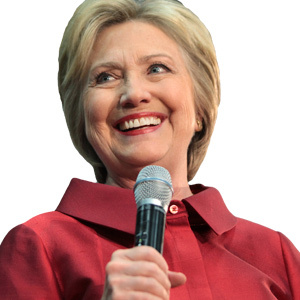 Having served on five Senate committees including ones for Budget, Armed Services, Environment and Public Works, and Health and Education, Clinton has deep experience in governance. Compare that to Trump’s decades of hedonistic lifestyle from his inherited wealth. The things that Trump has been successful at—like The Apprentice, his TV show, calls for dictatorial and showmanship skills. It does nothing to prepare him for a role that requires endless juggling between dozens of conflicting interests and objectives. Only six former Presidents have served as the Secretary of the State, and only three have served as both Secretary of State and in Congress. “By any objective measure Clinton is not just the most qualified candidate this season, she’s one of the most qualified people to ever seek the office”—an article in Daily Kos drives home the point. Parthiv N. Parekh is the editor-in-chief of Khabar. Some research provided by Fayzan Gowani, Vishal S. Narayanswamy, and Suzanne Sen.